Satsang services (literally “divine-assocation”) are held every Sunday morning from 11:00 a.m. to 12:00 p.m. followed by a prasad lunch. There is also a Sunday evening service from 7:30 p.m. to 9:00 p.m. Darshan sessions are held four times daily. 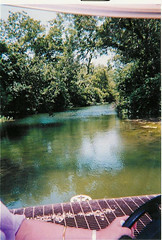 Visitors are free to roam the grounds from 8:30 a.m.-10:00 a.m. and from 3:00 p.m. to 5:00 p.m. Visits should be made only during these times. 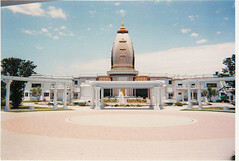 Barsana Dham was established in 1990 by H.D. Swami Prakashanand Saraswati. 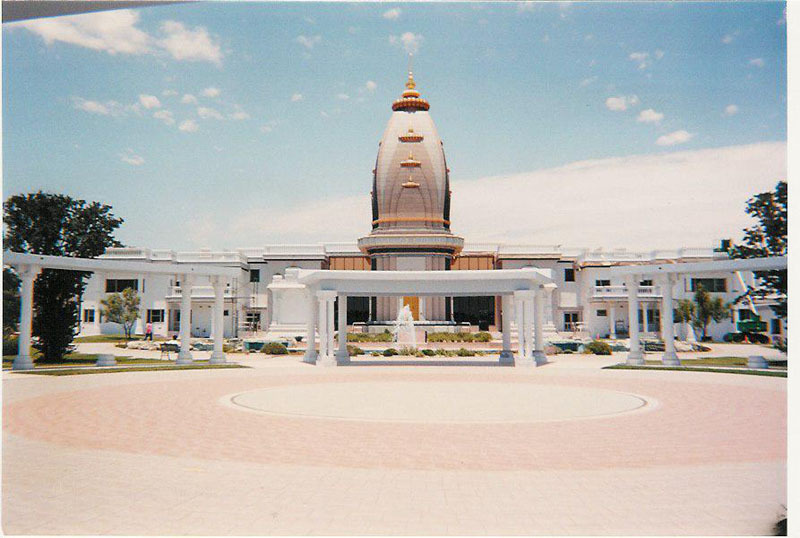 The vision behind Barsana Dham was to recreate the pilgrimage sites of Braj, India here in North America. Braj is a holy district because it is the site where the deities Shree Radha Rani and Shree Krishn appeared 5,000 years ago. Such a project required land with very specific geographical features and an extensive search was done to find a suitable location. 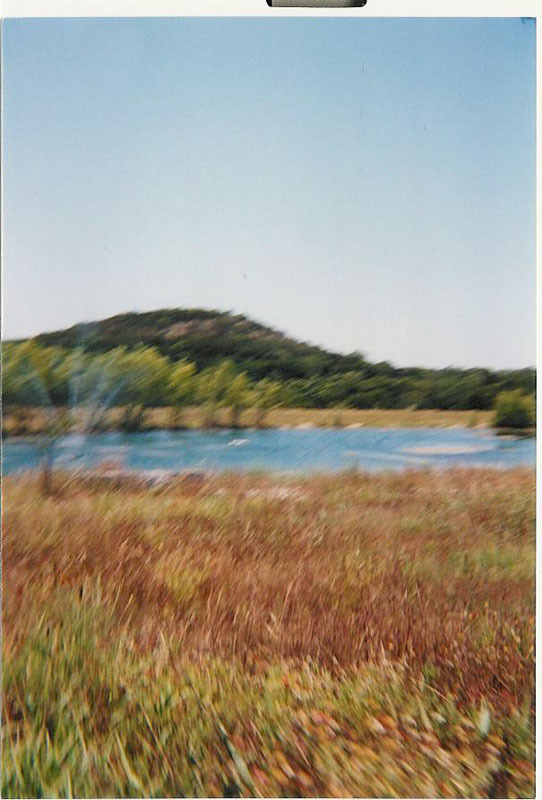 The search ended when two devotees living in Austin suggested purchasing a 200 acre Summer camp. 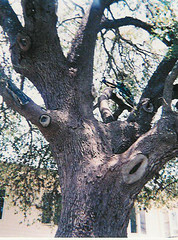 At the time, it was the first Hindu temple in Austin. 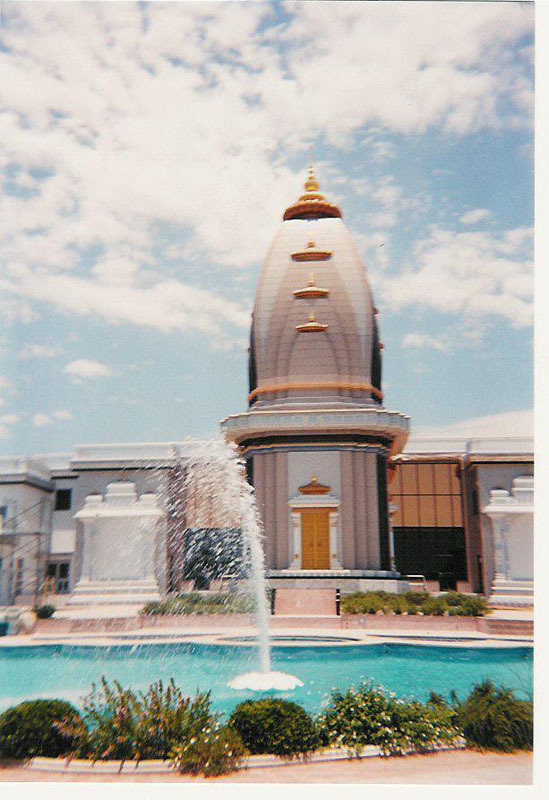 Today, Barsana Dham is one of the largest Hindu temples in North America. 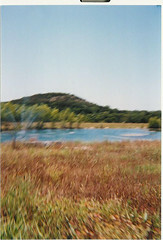 A ground breaking ceremony was held in October 1992. 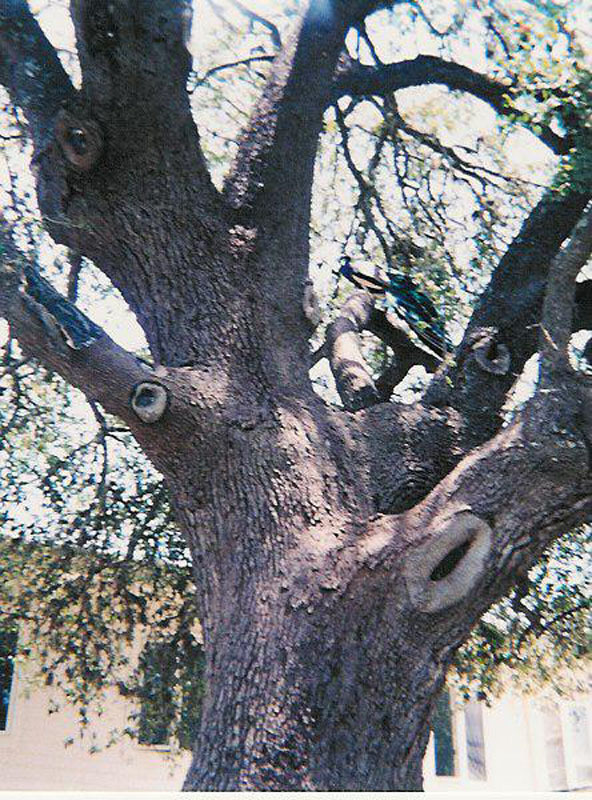 Construction began in January 1993 and continued to 1995. Those active in the center began an extensive campaign to educate the local community about Barsana Dham. An open house was held which quickly evolved into an annual tradition known as the Mela fair. The outreach campaign was very effective. To date, successive mayors of Austin, as well as local heads of law enforcement have visited Barsana Dham. In 2002, 8000 people attended the fair at Barsana Dham: half of those in attendance were Indian, the other half were Westerners. That same year, Barsana Dham also hosted the interfaith Thanksgiving celebrations of the Austin Area Interreligious Ministries. Approximately 1000 families attend Barsana Dham. 96% of these are Indian, the remaining 4% being Westerners and people of Caribbean descent. People of all ages can be seen at Barsana Dham. In addition to its regular community, thousands visit Barsana Dham every year to attend festivals or on pilgrimage. Barsana Dham welcomes visitors of all faiths who wish to draw closer to their higher power. Barsana Dham has cultivated a relationship with the local Presbyterian seminary, whose students enjoy the peaceful setting. During Satsang services, sermons (pravachan) are conducted in English while prayer and chanting is done in Hindi. Translated and transliterated worship aids are made available. 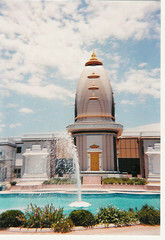 Barsana Dham also offers classes in Hindu, which focuses on religious application. The vision of recreating the holy land of Braj India has been realized in Barsana Dham. The land where Barsana Dham now stands features a hill that looks very similar to the Barsana hill in India where the palace of the goddess Radha stood. A pond at Barsana Dham corresponds to the sacred Prem Sarovar pond in Braj. All eight of the holy sites of Braj have been replicated at Barsana Dham. Thousands of pilgrims visit Barsana Dham every year who lack the time or money to visit India. All of Barsana Dham’s 200 acres are well maintained and beautiful. 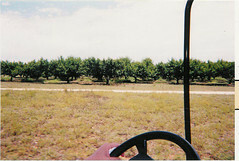 Free roaming peacocks and a large peach-orchard add to the utopic environment. The Shree Rasheswari Radha Rani Temple at Barsana Dham is a beautiful building, combining North and South Indian architectural styles. South Indian Shilpas spent two years detailing the temple. The main prayer hall has both traditional and modern features. The surrounding complex has facilities to host almost any function including traditional Hindu weddings and thread ceremonies. One of Barsana Dham’s most unique facilities is that it has overnight housing. 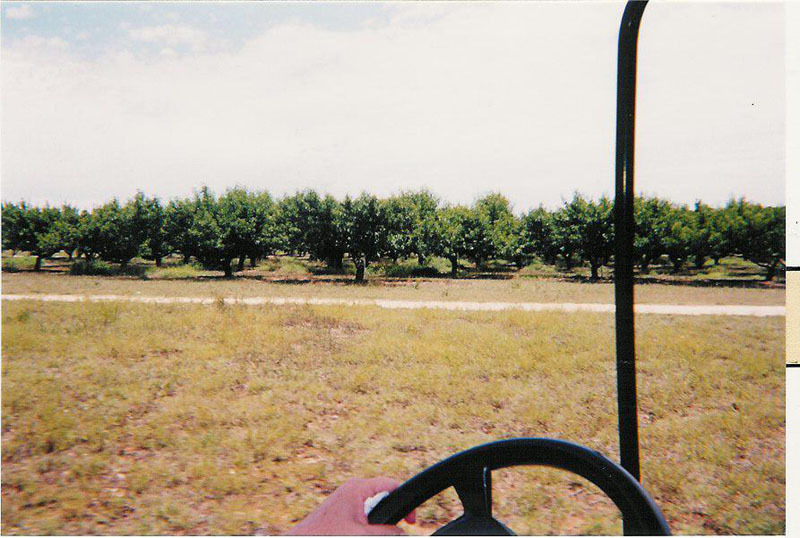 In addition to the roughly sixty people who live on the property, the center can accommodate 200 overnight guests. If you cannot physically visit Barsana Dham, you can take a virtual tour on their website. Barsana Dham’s website is just as impressive and beautiful as the physical center. At the website you will find audio clips of chanting and speech and you may sign up for their newsletters. Their annual festivals are documented on the website as well.